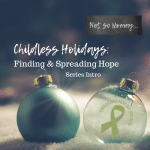 During the introduction to this year’s Childless Holidays Series, I wrote that some say HOPE stands for “Hold On, Pain Ends.” While on the surface, that might sound good, I truly believe there has to be more to life than that! To simply endure until the pain finally goes away? To me, that sounds utterly exhausting. First, that means we must find hope–what it truly means, what it truly is. In order to find hope, I believe we must be Honest and Open about our struggles. In other words, the H in HOPE stands for Honest and the O stands for Open. Now, if I’m going to ask you to be honest and open about your struggles, then I must take my own advice. So, I am going to share an article I wrote for The Childless Not By Choice Magazine, in which I talk about the struggles I’m dealing with this holiday season. 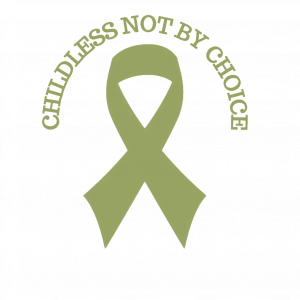 Note: This article was originally published in the November/December 2018 edition of The Childless Not By Choice Magazine and is being republished here with permission. A weight was lifted, as I realized that I don’t have to pretend. I don’t have to give the perfect advice about how to have the loveliest of holidays. I don’t have to hide the struggles that I am currently battling. No, I simply need to be authentic. So, how am I going to do more than survive this holiday season—the first holiday season without my best friend, a holiday season in which I will be grieving? How am I going to find joy? How am I going to thrive? Well, I’m just going to try. I’m going to try and find joy, embracing beautiful moments with friends and family. When the sadness creeps in (or possibly overwhelms), as I have no doubt it will, I’m going to allow myself to feel that pain, rather than punishing myself for not being positive all the time. Smiling, laughing, and living life joyfully does not mean that your sadness, your grief, your love over what you lost, what you wanted, is not real. On the contrary… Smiling, laughing, and living life joyfully actually means that you love what you lost, you love what you wanted, so much that you will live your best life in honor of that. 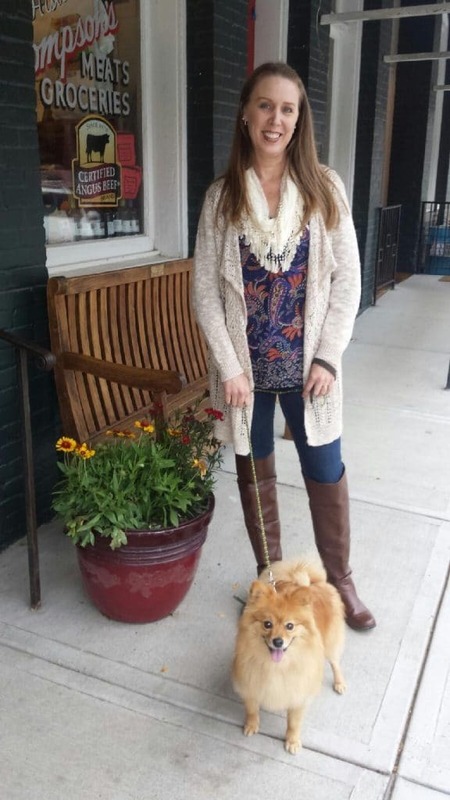 My best friend who passed away in September… She is one of three best friends that I am blessed to call family. The four of us girls grew up together. We have been through every life event together. And we always take pictures at these occasions! So, this December, we are going to take photos. The three of us who are still on this Earth are going to wear stocking caps—pink, green, and yellow. And we are going to have a purple hat to represent our friend who is now in Heaven because her favorite color was purple. I imagine every time we take a group photo, we will have something purple for our beautiful friend… Tears glisten in my eyes and I smile slightly as I think about this. To thrive this holiday season, you have to discover what your purple hat is. How can you acknowledge the life you wanted, the littles your heart desired, while also finding joy in the childless life you are living? How can you honor your littles (whether they were taken too soon or have lived only in your heart) by living life joyfully? How can you make the necessary (albeit unwanted) changes to your perspective to embrace a holiday without littles? Because I have given myself permission to honest and open about my struggles, I believe I will find hope this season. I pray that you are able to do the same, fabulous ones. Hello, I am reading you from Hungary. I lost my brother in law in last October during my Ivf process, so this will be the 2nd Christmas without him. It still pains and not easier. Life is not fair. I would give everything if I could save from this pain my husband and my laws. Thank you for this post. I’ve been through alot in my life, a whole host of things as well as my PCOS and not being able to have children and each day I try to think of something positive and something to be thankful for. Maybe how pretty the sky is, or the shape of the clouds. I think it’s the little things in life that get you through it. When you go through a trauma or a loss of a family member of friend, each time you look at different things to keep you going and keep you positive. I think people like us are truly blessed because we take time to notice these small things in life that get us through. Alot of people go through life not noticing them and it’s such a shame. And you are right–we are truly blessed that we can see the good in the little things and focus on that despite life’s difficulties. I pray you have a beautiful Christmas season this year! Hugs!